The elections are conducted by the Tamil Nadu State Election commission duly constituted under the Constitution amendments Act, 1992 . In the city, electronic voting machines were utlisied for recording of votes. In Chennai, Voters had to exercise their franchise independently for the Ward Member and once for the Mayor. The Polls on 17th Oct 2011 was for 10 municipal corporations in the State including Greater Chennai, Madurai, Tiruchirappalli, Salem and Tirunelveli; 60 of the 125 municipalities and 259 of the 527 town panchayats, besides a large number of rural local bodies including for village panchayat presidents’ posts. The second phase of polling is scheduled for October 19. Barring some sporadic incidents of delay and few violent incidents, polling was reportedly to be substantially peacefull. The voters were indifferent and not so caring about the persons to be elected was evident in a multi-pronged fight involving many parties of the State. The run up to the elections, however, had been aggressive with hectic campaigning by grassroots-level workers of various political parties, as most of the key parties are trying their luck individually. There were to be 86104 polling booths of which 4876 were to be set up in Chennai city alone. A total of 4,63,37,379 voters were to exercise their franchise. Most of the civic needs are at the hands of local councilors and representatives. The village councils, the precursors to present-day Village Panchayats, were institutions of very ancient origin in Tamil Nadu and they functioned very much like little republics enjoying a great deal of local autonomy and powers, including the power of taxation. 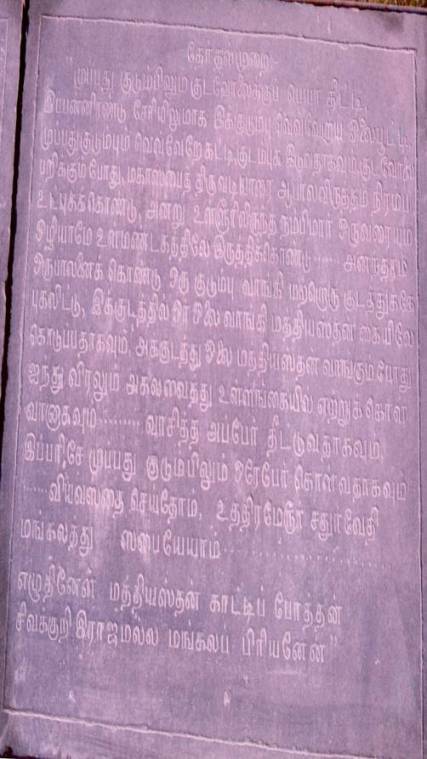 The epigraphical inscription on the walls of the Vaikuntha Perumal temple at Uthiramerur in Chengalput District bears ample testimony to this. It speaks of how village administration was governed by Assemblies known as “Sabai” and how the villages were divided into several wards ( Mandalam). It also speaks of how representatives from every such ward was elected by Pot-ticket system of election ( Kudavolai Murai ). Immediately after Indian Independence, Madras Village Panchayat Act, 1950 was enacted. It provided for the creation of Village Panchayats in every Village or hamlet with a population of 500 and above. The Tamil Nadu Panchayats Act, 1958 was enacted immediately following the Balwantrai Mehta Committee Report. 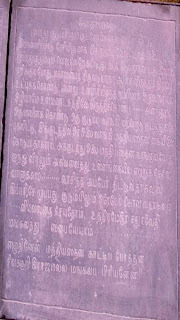 This paved the way for the formation of Village Panchayats through the length and breadth of Tamil Nadu. The Tamil Nadu Panchayats Act, 1994 was enacted consequent to the 73rd and 74th Amendments to the Constitution of India, which has prescribed a three tier Panchayati Raj system: the Village Panchayats, the Panchayat Union and the District Panchayats. The City of Chennai is governed by the Chennai Corporation (formerly known as Madras Corporation). It is the oldest corporation in India. It was formed and inaugurated on 29th September 1688. It is headed by the Mayor. 32 candidates are standing for the post of Mayor of Chennai Corporation. This is the first mayor election for the Greater Chennai, which consists of 200 wards. With the rising population and expansion of the city of Chennai this civic body election is going to be a tough competition between the candidates to get elected and sustain themselves to the demanding needs of the city. The Government Order of the State Election Commission provides for submission of electoral expenses by every candidate within 30 days. But the limits prescribed therein appear to be archaic and not in tune with reality. Every one knows for sure that the amount prescribed as ceiling nowhere represents even a smaller % of what in reality was ! !